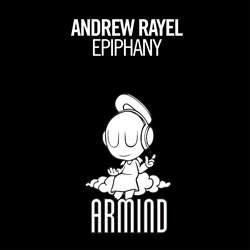 “Epiphany" is the third single from Andrew Rayel's second full-length studio album, for release in early-2017. "Epiphany" also appears on Armin van Buuren's 'A State of Trance 2016' compilation. There’s something about watching Andrew Rayel perform that’s riveting. He embodies the essence of the music he plays. The momentum is undeniable. The demand is deafening. The anticipation, palpable. Since the release of his inaugural full-length studio album, Find Your Harmony (Armada Music), almost two years ago to the day, Andrew Rayel’s career as a professional DJ and electronic dance music producer has skyrocketed to previously unimaginable heights. Rayel releases “Epiphany,” the third single from his new studio album. “Epiphany” is out now. There’s something about watching Andrew Rayel perform that’s riveting. He embodies the essence of the music he plays, and in fact, most of the tunes are his own original productions or remixes. The unbridled adoration Rayel receives from his legions of fans – affectionately self-named the ‘Rayel Family’ – is unrivaled. Singing along to every song and bouncing around on every note, the love from the audience is unwavering. Rayel has become a master at pushing forward his own, personal style of trance music while inspiring fervor in his listeners. The Original Mix of “Epiphany” is thick and heavy, built for peaktime at the mainstage. Rayel’s thudding 4/4 beat wakes this beast-of-a-track, one that feels like a gut-rumbling fiend hell-bent on annihilating the dancefloor with its massive, killer energy. Sonically destroying everything in its path, “Epiphany” is a lethal trance tune that showcases Rayel completely unafraid and brimming with confidence. The track’s enormous synth horns create its own cosmic storm. The track’s forcefulness is counterbalanced by a serene interlude of nuanced, silvery vocals. The almost chanted, intoned vocals in the brief, dreamy sequence are just delicate enough that when Rayel builds the track back up to its booming high-energy self, the impact is explosive. The insistent, thrusting synthesizers head out in a blaze of grandeur. For those searching for this summer’s first colossal festival tune, here it is. Hailed by Armin van Buuren as “the future of trance music,” Andrew Rayel (real name: Andrei Rata) is a classically trained electronic dance music (EDM) DJ and producer from Moldova often referred to as the “modern-day Mozart.” Rayel’s first full-length studio album, Find Your Harmony (Armada Music), was a critically praised collection of 18 tracks characterized by noteworthy singles, including, “Dark Warrior,” “EIFORYA” with Armin van Buuren, “Daylight” featuring Jonny Rose, and “One In A Million” featuring Jonathan Mendelsohn. The first three singles from Rayel’s second studio album are, “Winterburn” with Digital X featuring Sylvia Tosun, “Once In A Lifetime Love” featuring Kristina Antuna, and “Epiphany.” Rayel’s energy stems from youth but it also comes from a deep knowledge of the classical structure of dance music known as trance. Each live DJ set sees Rayel stepping off the stage, hair and shirt soaked in sweat from all the movement. Find him front-and-center DJing at Tomorrowland in Belgium; Ultra Music Festival in Miami on the A State of Trance (ASOT) stage; Creamfields in the UK; Beyond Wonderland in San Bernardino; Electric Daisy Carnival (EDC) in Las Vegas, and more. Rayel holds a DJ residency at Marquee Nightclub & Dayclub in Las Vegas and is a regular headliner at Marquee and LAVO in New York, as well as at Omnia in San Diego. The joy Rayel derives from DJing is so infectious it’s impossible not to fall in love with him each time he takes the decks. For more information on Andrew Rayel, MaRLo, Giuseppe Ottaviani, Sylvia Tosun, Traveler, Justin Paul and Underground Sol, and artists like Armin van Buuren contact EMILY TAN Media Relations (U.S.), +1(917) 318-3758, EmilyEmilyTan(at)aol(dot)com. Follow EMILY TAN Media Relations on Twitter @EmilyEmilyTan and LinkedIn http://www.linkedin.com/pub/emily-tan/4/342/70b.